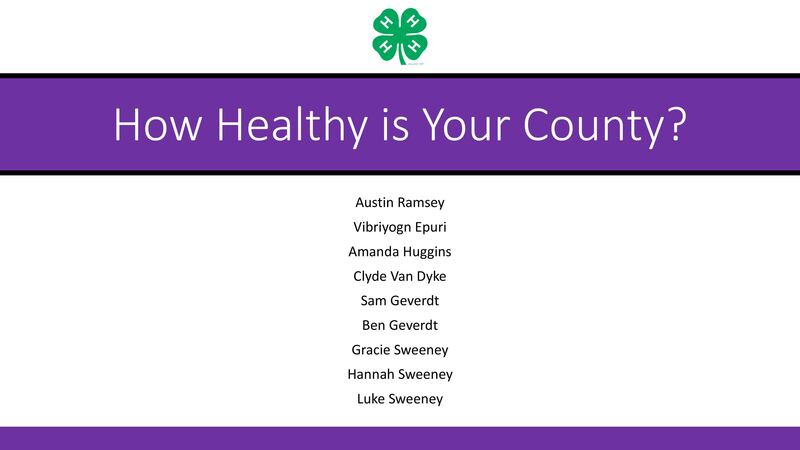 Download and use our presentation in your Community! 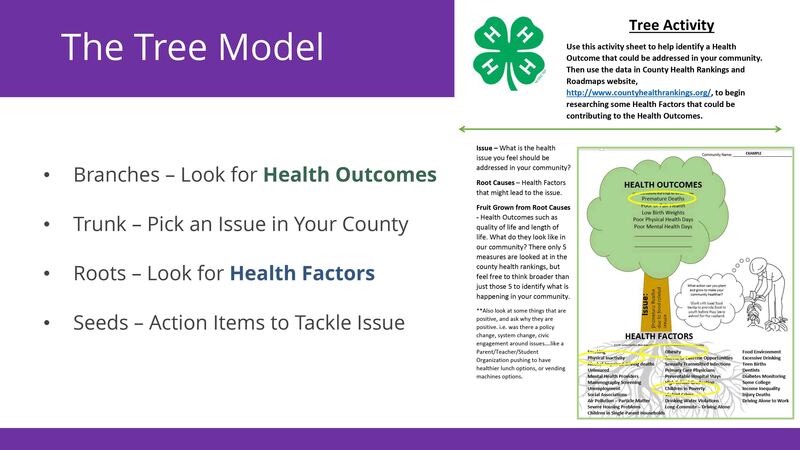 Download and use our tree model to help find the root cause! 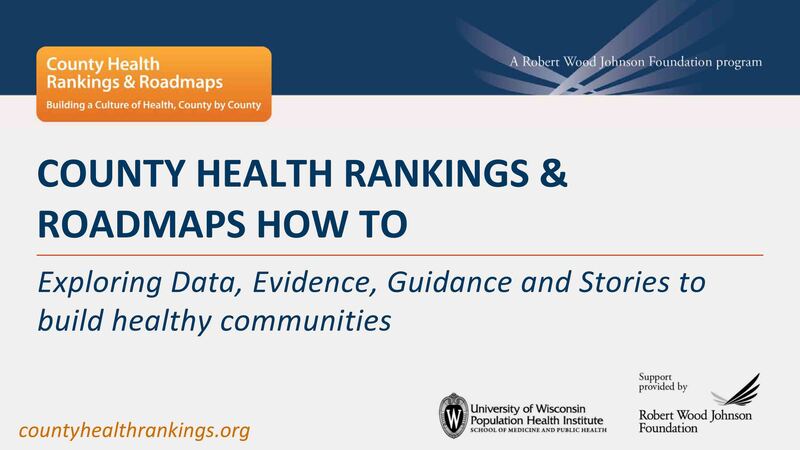 Download and use a guide to help navigate County Health Rankings. In order to create an action plan, we must find a data source. A free, credible data source that we use in our maps can be found at countyhealthrankings.org Start exploring today! Sometimes looking at numbers and percentages can be confusing. Therefore, you should dig deeper into the data. What is the data measuring? Is there any additional measures to look at? To grasp a better understanding of the data, we can visualize the data through GIS (or mapping). We can start to see trends and patterns that often spark conversation! Now that you have found a data source, analyzed the data, and gained a firm understanding of the data, you are ready to move to action! Find a community partner or organization and start an action plan!